As a kid, traveling to Eagle Harbor every summer with my family would cause us all to break out in a rendition of 'Eagle Harbor here we come, right back where we started from. . .' the minute the Shoreline Inn (aka Jilberts, Koops) came into sight. 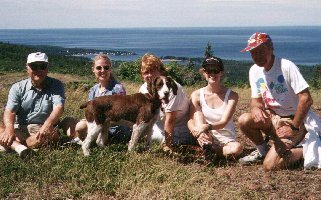 As soon as the car came to a stop at the cottage, my siblings and I would leap out, throw our suitcases into a bedroom and beg to be excused to climb the rocks. Off we'd race like a herd of deer, past the old store and through the flowered fields to the Lake! There weren't many cottages perched out there in those halcyon days of summer.